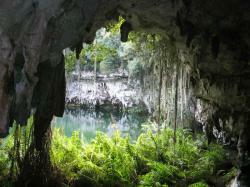 Discover the capital of Dominican Republic on a journey throughout history, full of surprises and fun. 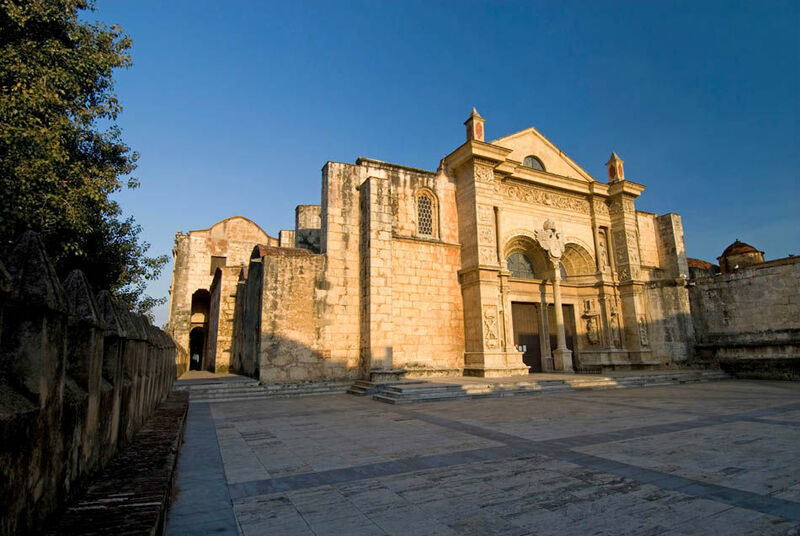 Discover the hundred-year-old city of Santo Domingo de Guzmán in the Dominican Republic and visit the first European settlement in America through the history and culture of the country, and the traditions of its inhabitants. It was founded by Bartolomé Columbus in 1496 in the east shore of the Ozama River, but later moved to the west side by Nicolás de Ovando due to its destruction by a hurricane in 1502. Santo Domingo was the first headquarters of the Colonial Spanish government in the New World. Despite all this, when the Europeans landed in the island, it was already inhabited by other settlers. Indigenous people had divided the lands of the island into five chiefdoms, capturing their culture on them by means of art and tools, which you’ll be able to contemplate in the numerous museums of the area. If you are interested in Pre-Columbian history, you’ll enjoy it especially in the permanent and temporary exhibitions of the Dominican Man Museum, National Museum of History and Geography, Hall of Pre-hispanic Art and Los Tres Ojos (The Three Eyes). 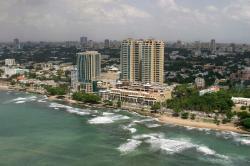 It is currently the 10th most populated city in Latin America, and the first one in the Caribbean. 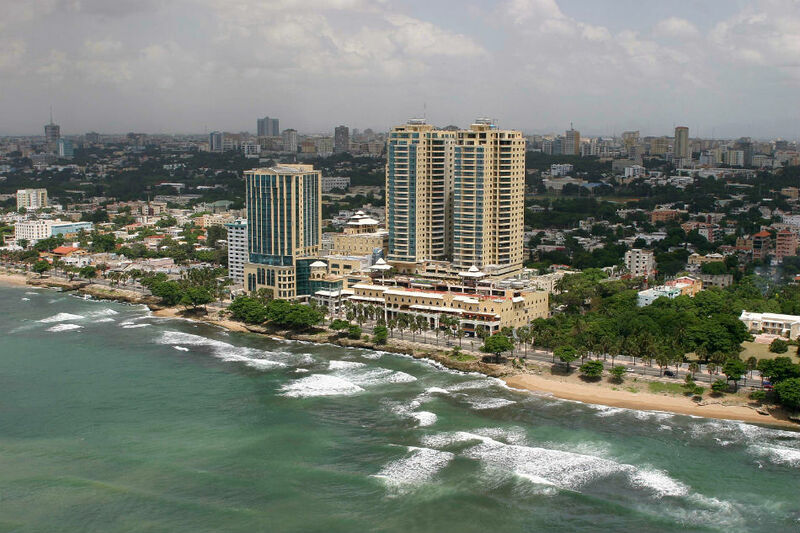 It is one of the largest cultural, economical, political, commercial and industrial centers in the Dominican Republic. Moreover, its city center, known as Ciudad Colonial or Colonial City, was declared World Heritage Site by Unesco in 1990. In the Trenecito Colonial (Chu Chu Colonial) Little Train you’ll be able to take a walk around the various streets of the city center and contemplate its architectural wealth. In this same city, you’ll be witness of the passing of time over different buildings, streets, squares and parks. 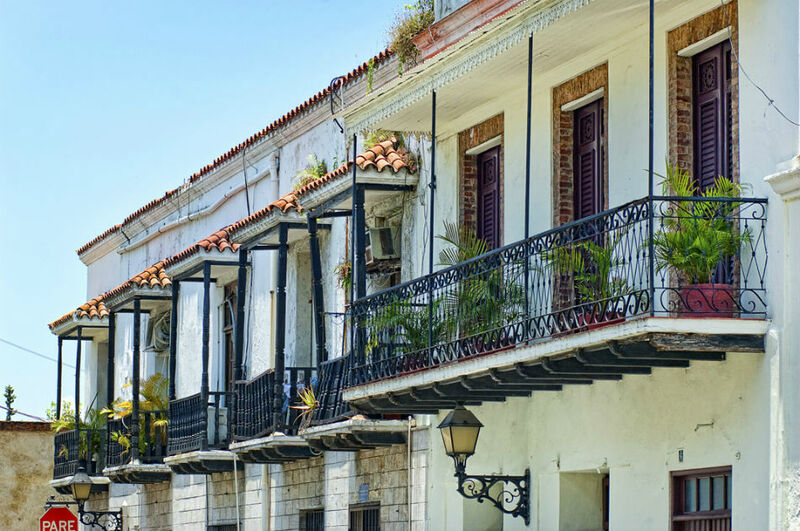 Stroll down hundred-year-old streets and contemplate the different Colonial houses and fortifications that keep the charm of previous centuries, both on their facades and inside. Admire the numerous religious temples enduring the hardships of years and weather. Visit small churches like the Church of Nuestra Señora del Carmen, or some more stunning ones like El Templo de las Mercedes Temple. Behold the Primada de América Cathedral and travel to the origins of Christianity in the New World. The inhabitants of Santo Domingo have many reasons to be proud of their country but, above them all, stand the struggle for independence. That’s why there are numerous monuments, buildings, parks and museums in honor of those who fought for it. Visit the Independence Park, with the The Count’s Gate and the Altar de la Patria (Altar of the Homeland), or the Plaza de la Misericordia Square, where Independence was proclaimed. 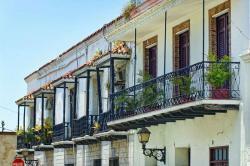 Discover how it was forged in the Trinitarios House, or where its main responsibles lived, as in the Casa Duarte Museum. Visit the Memorial Museum of the Dominican Resistance to discover more about that troubled time. The city of Santo Domingo has thrown itself into both preserving its historic and cultural heritage as well as encouraging both old glories and young stars. Thus, places like the Contemporary Pottery Museum, the Bellapart Museum, the Contemporary Art Museum and the Fine Arts Palace will make you enjoy the wonderful contemporary Dominican art. Not only will you be able to see buildings and artifacts made by men; but in Santo Domingo you’ll also contemplate nature in all its splendour. Visit the gorgeous Botanic Garden, the zoo or the incredible Aquarium, or stroll around any of the countless parks of the Dominican capital city. In the East Viewpoint Park you’ll find the typical vegetation and fauna of the area, as well as Pre-Columbian art in its caves. 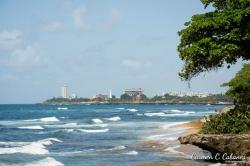 You can also have a refreshing bath at any of the beaches near the city. Boca Chica Beach, Caribe Beach and Guayacanes Beach are waiting for you with their fine-grained sand and warm Tropical waters. At night you won’t be able to avoid dancing to the rhythm of Caribbean music, tasting its cuisine or participating in the traditional festivities that the city offers in many of its events throughout the year. Santo Domingo is an incredible city made up of history, culture and tradition that you shouldn’t miss while travelling to Dominican Republic.